The Innokin iClear 30B tank is the iClear 30's long lost brother. It has also gotten rave reviews from users. It features a replaceable bottom dual coil 2.1 ohm setup, a swivel mouthpiece, solid construction, and 510 threading. It is filled from the bottom with a maximum of 3ML of e-liquid. The Innokin iClear 30B is the latest offering from Innokin. Equipped with a Bottom Dual Coil Design with a healthy 3ml capacity. 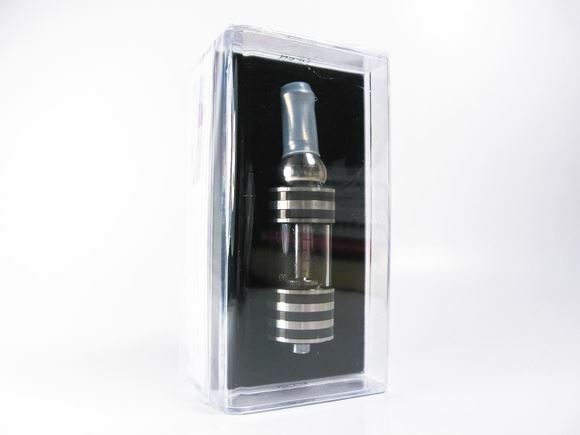 Innokin iClear 30B coils are easily replaceable and drip tip is also replaceable. Easy to fill with a standard dropper top bottle: Unscrew the base, tilt and fill along the sides of the tank (avoid getting eLiquid in to the air-hole in the center). This tank is a bottom coil so it is filled from the base (510 connector end). The Innokin iClear 30B dual coil atomizers provide extra vapor and will enhance the flavor of your e-liquid.